Scanner Diagnostic Code Reader Car Diagnostic Tool,Retrieve vehicle information (VIN, CIN and CVN). Size: 24*22*7cm Type: With Bluetoot, Without Bluetooth(optional). 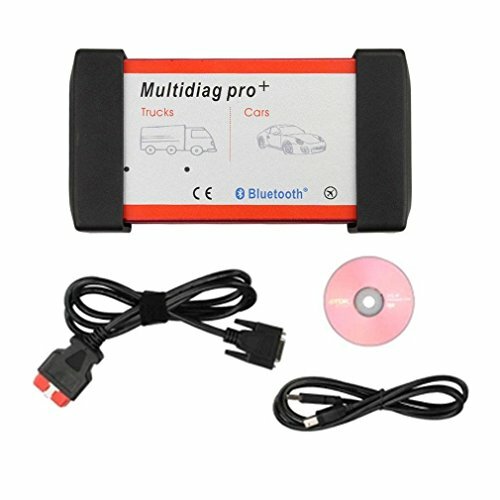 Package Included:1 x Multidiag Pro+ Interface 1 x LED OBD2 Cable 1 x USB Cable 1 x Software CD. If you have any questions about this product by JXHD, contact us by completing and submitting the form below. If you are looking for a specif part number, please include it with your message.